Bolton is the lead designer and principal investigator for NASA’s Juno spacecraft, currently looping around Jupiter after traveling nearly two billion miles. The mission’s goal is to understand the planet’s structure and the amount of water it contains. The results could yield rich new insights into how planets are born and how water appeared on Earth. Bolton’s unorthodox proposal got critical feedback at first. 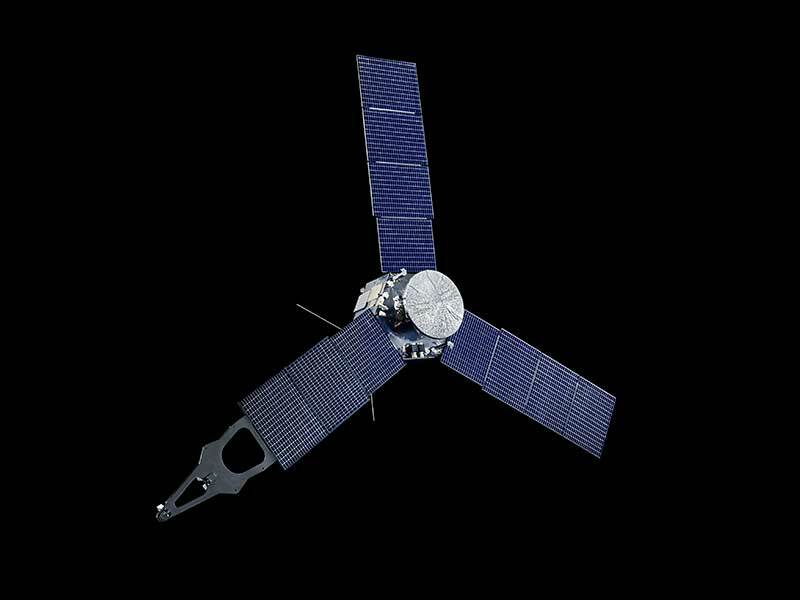 Earlier missions to the outer solar system were nuclear-powered, but Bolton’s team designed Juno to run on solar energy. To protect the spacecraft from Jupiter’s radiation—“the throat of hell in our solar system,” in Bolton’s words—they created an armored vault with more than 400 pounds of titanium and crammed in the delicate circuitry Bolton calls Juno’s “central brain.” To limit the most intense exposure at the equator, Bolton’s team designed an elliptical orbit that races from the north pole to the south pole in just two hours and then ducks below the high-radiation belt. At its closest approach, Juno is a mere 3,000 miles above the planet’s cloud tops. For the rest of its 53-day loop, the spacecraft cruises millions of miles away from the planet. leo mission before completing a PhD in astrophysics at the University of California, Berkeley. Juno is only halfway through its planned lifetime (it’s scheduled to dive into the planet in 2021), but it has already upended much of the accepted wisdom. “I’m in total wonder that we could have been so wrong,” Bolton says. Scientists expected the planet’s fast rotation and whirling winds to mix all its gases into a uniform blend. Instead, they found that its colored bands and long-lasting storms, such as the Great Red Spot, have roots of ammonia and water that extend hundreds of miles deep. At the north and south poles, scientists were amazed to find cyclones packed like cinnamon buns—six at the north pole, nine at the south—all spinning the same direction. They also found that Jupiter’s magnetic field is about twice as strong as scientists expected. And unlike Earth’s magnetic field—which arises from our planet’s core—Jupiter’s is surprisingly uneven between its poles. Bolton and others guess that just below the atmosphere, hydrogen is behaving like a metal, sparking part of Jupiter’s magnetism. Clues like these will lead to a better understanding of how planets form. Bolton has also involved the public in groundbreaking ways. Juno’s website publishes raw images for citizen scientists to crop, color-correct and collage. Bolton’s friends in the music industry—ranging from the industrial musician Trent Reznor of Nine Inch Nails to the Greek composer Vangelis—have also boosted Juno’s popular appeal, creating Juno-related songs and film scores.